We believe that the best results come from getting to know your child as an individual and building skills at his or her pace. Patient coaches teach in accordance with the Jim Montgomery Swim School core values while maintaining goals for each student. Kids will improve both their swim skills and confidence, while gaining valuable life-lessons through a swim team environment. Marlins swim team is a year-round program designed to teach and improve competitive swimming skills and prepare kids for the competitive swim team environment. The focus is on fun and personal development through swim training. 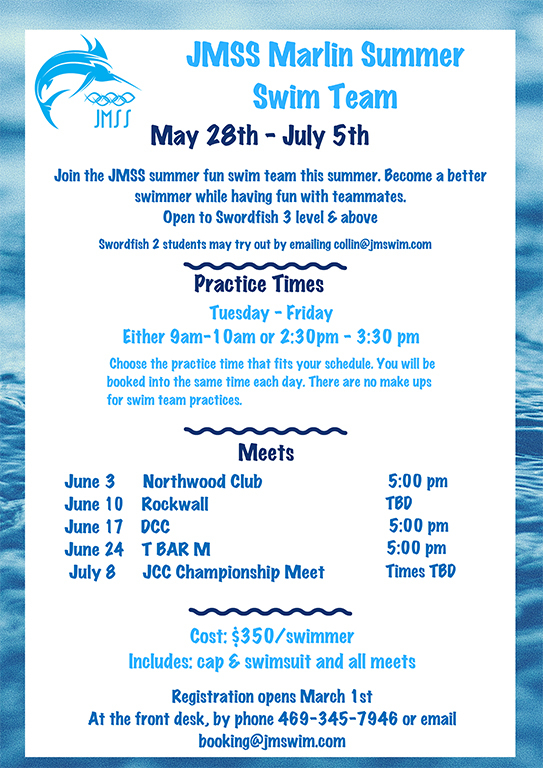 Swimmers must have passed Swordfish 2 level or are able to swim 25 yards in Freestyle and Backstroke. Coaches lead from the water and the pool deck. 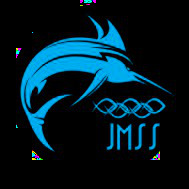 The Sailfish USA swim team, run under the USA Swimming membership organization, is designed to develop swimmers for competition and foster a strong team learning environment. Swim practices are designed with training, technique refinement, and racing in mind. Swimmers will have passed Swordfish 5 or be able to swim 25-50 yards of the pool legally for each of the four strokes – butterfly, backstroke, breaststroke, freestyle. Try-out is required. Coaches lead from the pool deck.